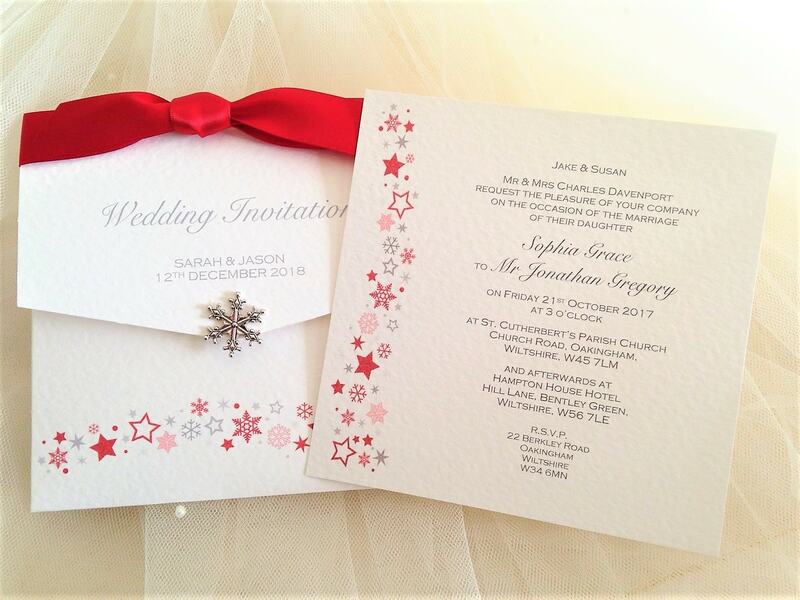 Our classy, elegant Snowflake wedding invitations are a wallet style wedding invitation supplied on a thick heavy weight (270 gsm) hammered card and are available in either white or ivory. 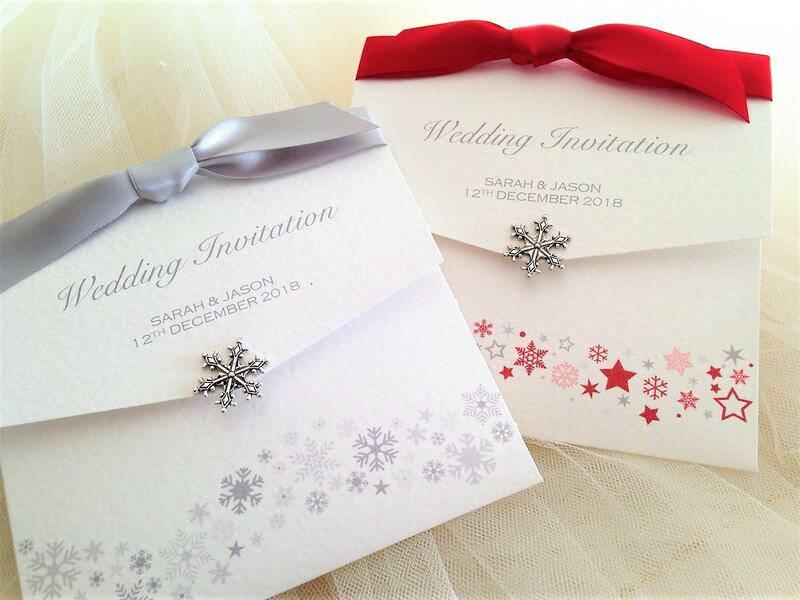 Snowflake wedding invitations are perfect for romanic winter weddings and they feature a beautiful Tibetan Silver Snowflake on the front of the wallet. 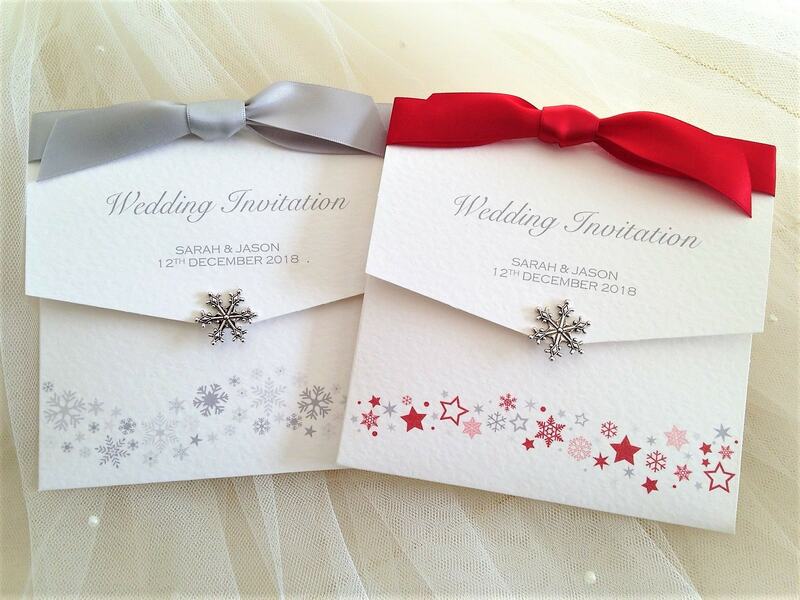 Wedding wallets have a separate invitation card inside which forms a two part wedding invitation set. 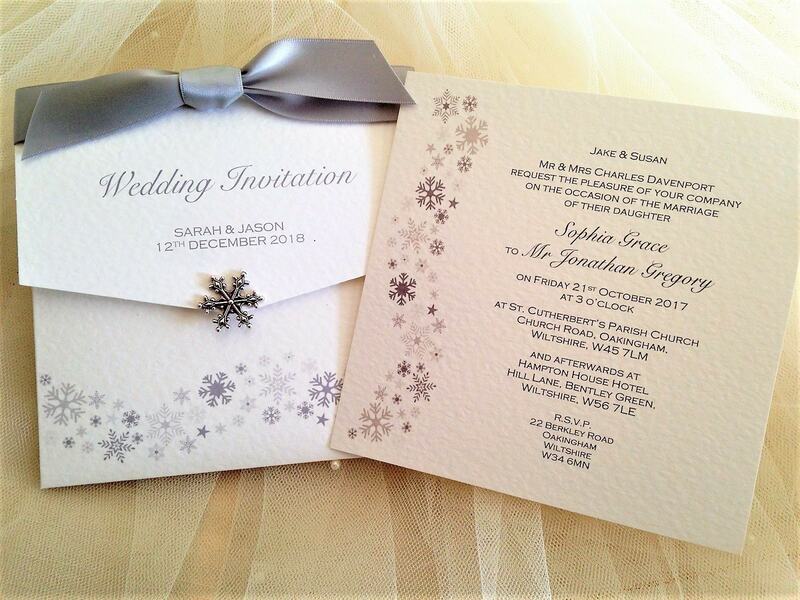 The separate invitation card also features the same attractive snowflake design as shown on the wallet itself. 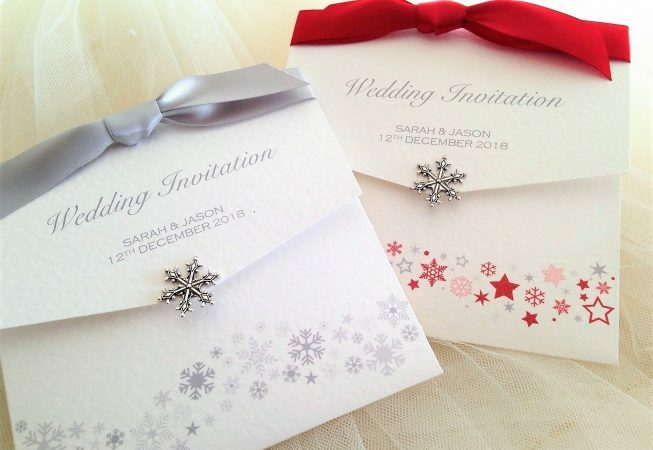 There is a good selection of font styles and ribbon colours to choose from and we can print your wedding invitations in any colour to match a colour scheme. We can also supply matching information cards and RSVP cards. This design is offered in grey or red, please specify at time of ordering which you’d like. Velcro closers are supplied with each invitation for you to apply if you wish. Ordering is easy, just click through to our ‘How to Order’ page.